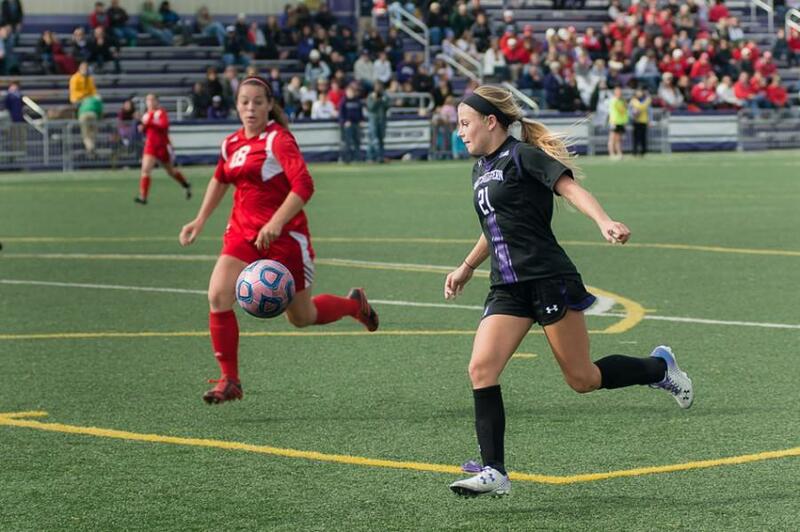 Sophomore Addie Steiner drilled the game-winning goal Sunday in the 97th minute of Northwestern’s 1-0 overtime victory over No. 14 Rutgers. The win lifted the Wildcats to 6-7-3, 2-6-2 in the Big Ten and kept their conference tournament hopes alive. The Wildcats have shown multiple times they can kick it with the big kids. On Sunday, they proved it with a win over No. 14 Rutgers. Sophomore Addie Steiner added to her growing list of memorable goals, netting her fourth game-winning goal of the season and upping her season total to a team-leading nine. Although much attention is sure to go to the spectacular finish, the Northwestern defense spearheaded the strong weekend, which also included a tie against Maryland. Moynihan also praised the efforts of veterans Jackie Alyinovich, Margo McGinty and KK Barr. “The five of them together have really been difficult to break down, shutting down a lot of really potent attacks of other teams,” he said. On Friday, this was apparent against Maryland, as the defense allowed only seven shots on goal, all of which were turned back by freshman goalie Lauren Clem. According to Moynihan, not much was different in the last two games in terms of how well the team played overall. The Wildcats were finally able to get the results they wanted against Rutgers, due in large part to clutch play on both sides of the ball. In the 94th minute, a flip throw-in led to a collision between Alyinovich and a Scarlet Knight player. A penalty kick ensued, and the Cats found themselves on the brink of another heartbreaking result. But Lauren Clem came up huge, tipping a lower corner shot off the post and out of harm’s way. Just three minutes later, the offense returned the favor. Off of a goal kick from Clem, freshman Michelle Manning received the ball, held off a defender and made a lob pass toward the Rutgers net. Steiner beat the Scarlet Knight goalie to the ball and lofted a shot over the keeper and into the net. With three home games left in the season, the Cats are still mathematically in the hunt for a Big Ten playoff spot. And according to Moynihan, it’s still the team’s number one goal.